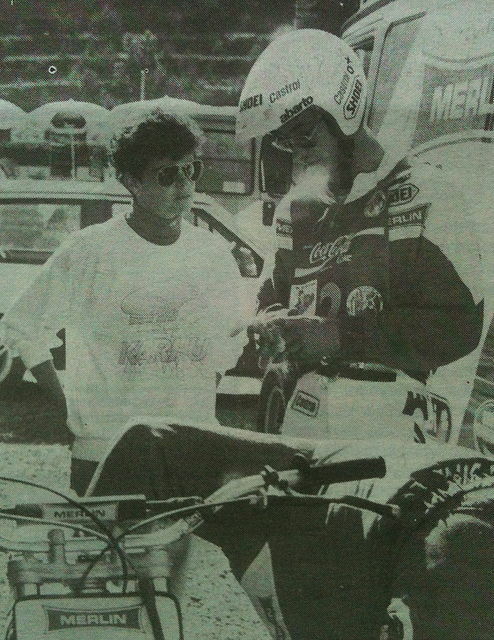 There is no question about it , Eddy Lejeune is one of the most influential figures in the World Trials, of all time. 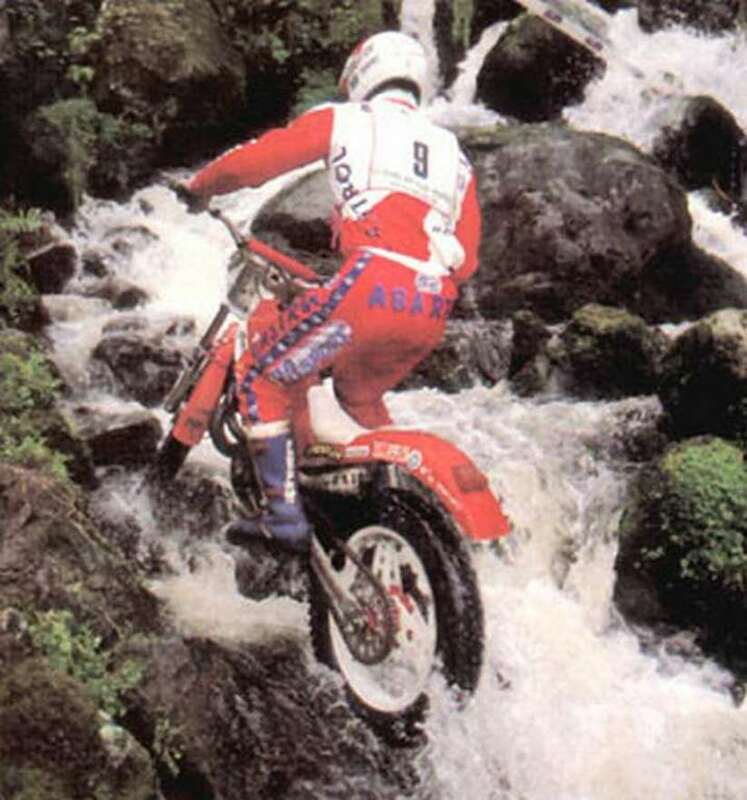 He won 33 World trials and was on the podium a total of 60 times. The 3 Times World Champion is most famous for the seven years he was riding the Honda four strokes but after the peak of his career he looked for inspiration and motivation riding the Merlin.Eddy was born in the small town on Verviers, Belgium on the 4th of April 1961. He started riding the small TL motorcycles developed originally by Sammy Millar.Once his natural talent shone threw at trials and support for the young rider started Eddy was signed up by Honda. He started competing in the World Championship in 1979 at the age of 18 at the Irish World round. He came 22nd riding a Honda. Only 2 weeks later and only having ridden 2 previous World competitions , at his home round in Belgium Eddy came 4th and proved to the World that he was force to be reckoned with. He rode the Seeley Honda 200's and was a key player in designing the World famous RTL360. This custom and hand built prototype motorcycle was and still is regarded as being the most expensive and labour intensive to produce trials motorcycle ever. This investment in time and money was well spent and in 1982 Eddy won the Trials World Championship, repeating this in 1983 and 1984 on the same , but modified machine. Using the knowledge they had obtained from the RTL360 Honda produced in 1986 the RTL250SW. Although this machine did not win the World Championship , it paved the way for the machine Steve Saunders rode when he secured a number 2 placing in 1986 World Championship. 4 - Eddy rode exotic and priceless machinery made out of unobtainium. Quite simply every rider and all the spectators were in awe of him. 1985 and 1986 were good years for Eddy securing 2nd and 3rd , but in 1987 Eddy slipped down to 9th. Eddy's contract was not renewed.In an email i have from Eddy , he says "The honda 360 had very good adhesion. And I was the only driver able to reduce weight are therefore did not ask myself too many problems 97 kg a very good clutch and lots of power. With a follower and a mechanic I had the best organization and follower mechanic. With merlin the time was smaller and weighed 80 kg Fantic motorcycles and the Merlin 93. I was injured in 86 so for me it was difficult to return to the top." Ignacio Bulto was at the time looking for advertising on the World stage and needed a World Championship rider as Lluis Gallach had left Merlin in 1986 to join Mecatecno. Merlin was at the cross roads in its future. The company had produced in 1986 the white Monoshock model and the 1987 and 1988 models were almost identical. The company had invested in this model and did not have the vision or imagination to develop a better bike. Both the chassis and engines were not up to the standard offered by Fantic and Beta. Merlin were in the market with a bike that wasn't as good as the competition, but they had no time , money or vision to see this or to create a new model. They had the current bike and that was that . They needed sales now. Ignacio Bulto phoned Eddy Lejeune at the end of the 1987 season and made him an excellent offer. Ignacio is rumored to have offered Eddy $150,000 and a number one factory rider , supported position with Merlin. Eddy test rode the bike and liked it. The soft tractable power was similar to the four stroke torque he had been used it.Eddy was used to a heavy four stroke so didnt notice the extra weight of the Merlin. Whilst the Merlin had soft power , it produced a huge amount of power from the 350cc engine. This was a massive boost and catch for Merlin. The tiny catalan motorcycle company had secured Honda legend and 3 times World Champion Eddy Lejeune. Everyone knew Honda and Eddy had insisted on quality. Eddy became the public's quality control. he reassured the public that Merlin were quality. 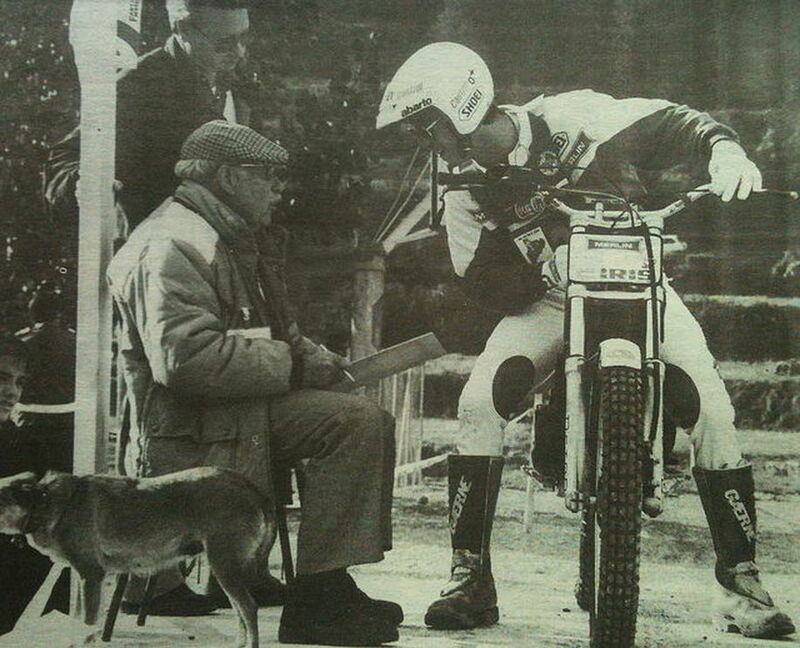 At the Spanish SANT LLORENC DE MORUNYS round in March 1988 Eddy secured 10th in his first World ride on the Merlin. 2 weeks later Eddy was 6th in the UK World Round at Butser Limeworks near Petersfield , Hampshire. Incidentally , I was there and observed. A great day , when Saunders , beat God Tarres. 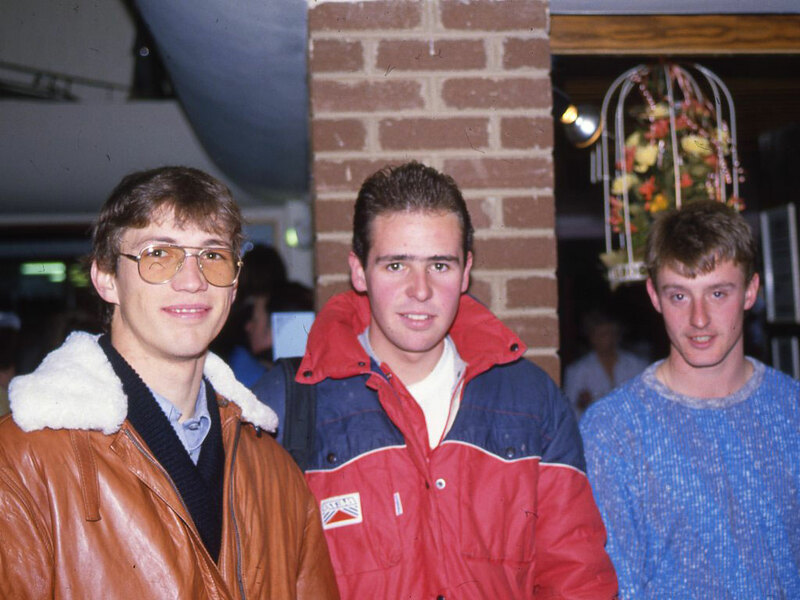 This photo was taken in the Hilton hotel at Portsmouth,on the evening before the above 1988 World trial. The 3 main men. the good results continued. Faced with Tarres and Michaud fighting it out in the clash on the Titans Eddy and the other riders were pushed out of the Limelight. Eddy's results on the Merlin were excellent and sales shot up. Ignacio Bulto was very happy with his signing. Merlin was prominent on the World stage. The distinctively designed bikes with red bodywork and white 3 spoked wheels stood out from the crowd. The price was right at £1794 pounds and the bikes sold in their hundreds and were exported all over the World. The signing of Lejeune had paid off. It would be reasonable to assume that the $150,000 was never paid to Eddy as this this would have been a bonus pay scale with the 150k based upon no 1 placings. Never the less, everyone was happy. - or were they ?. 1988 was the last year for Merlin. They went financially insolvent and factory production stopped and the workers were sent home. Towards the end of 1988 sales had slowed off and Merlin knew they needed a new Trials bike. The bills kept coming in. 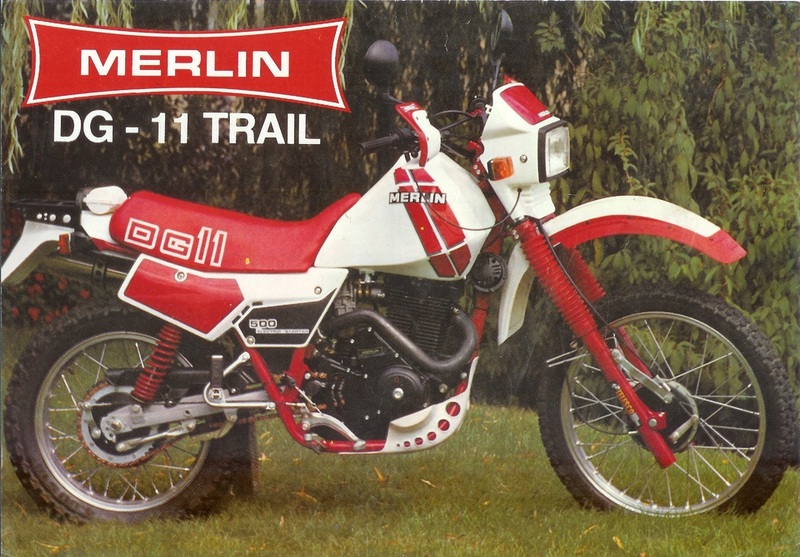 Merlin also produced an Enduro motorcycle called the DG11. This was powered by a Ducati engine. Almost everyone of these Ducati engined DG11's broke down with mechanical failures. Faced with warranty claims flying in every day and Merlin needing a new bike the company died . "The Merlin was a big powerful engine 350 cc 2 stroke. I loved the bikes and powerful so I rolled with this bike for 2 years. The suspension was adjusted to my driving but the bike was set identical to that of Pascal couturier. The time was not professional enough but I made two nice season. A little heavy but very powerful in areas very hard and muddy." There is a happy ending . 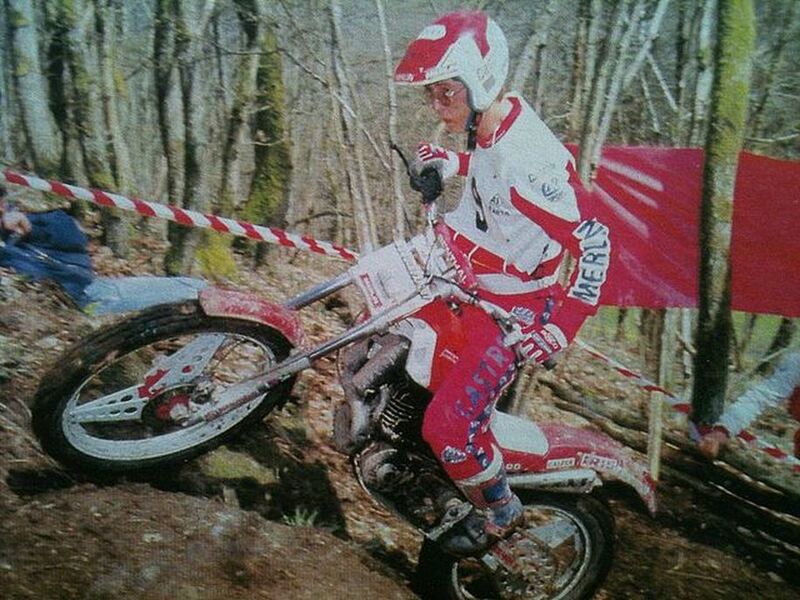 ---- Eddy finished the year with Merlin and signed with Montesa in 1989. ---- The actual factory continued production and was rented by GasGas. ---- Many of the workers stayed on , working for GasGas. 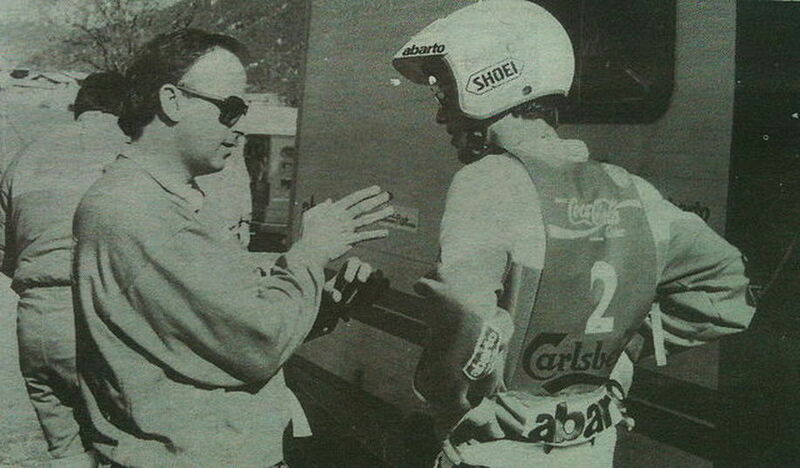 ---- Ignacio went on to be the competition manager for Seat cars and he also developed a successful Dakar bike.